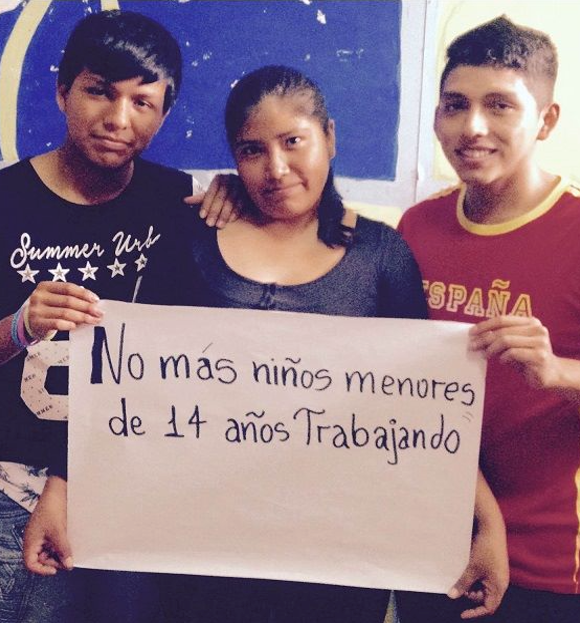 Founded in 1989, the Asociación Grupo de Trabajo Redes (AGTR) is devoted to providing vocational education to women and mothers employed in domestic work while teaching them about their human and labor rights. 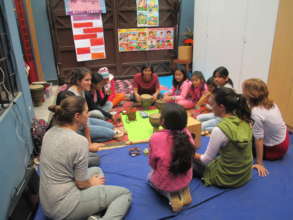 The Association runs an employment agency, La Casa de Panchita, to help women find jobs with adequate pay and respect for their skills. This BGR partnership–along with the Nicaragua project our first in Latin America–will benefit women who have been employed in domestic work from childhood. The women find themselves struggling to provide proper nutrition, shelter, and other amenities to their families due to a paucity of employment options.These women are trapped in poverty, and as a result their daughters too will be trapped, thus perpetuating the cycle. To break the poverty trap into which many girls are born, AGTR empowers women and mothers through vocational educational training. Through a grant from BGR, AGTR will provide training to 100 marginalized women who wish to undertake domestic work, while also giving access to employment through their employment agency. Utilizing an adequate salary, these women and their families will escape the misery of hunger, while their daughters escape the need to work and can remain in school. The women will be taught about their human and labor rights and will be given access to AGTR’s in-house employment agency, which upholds the standards of the organization. 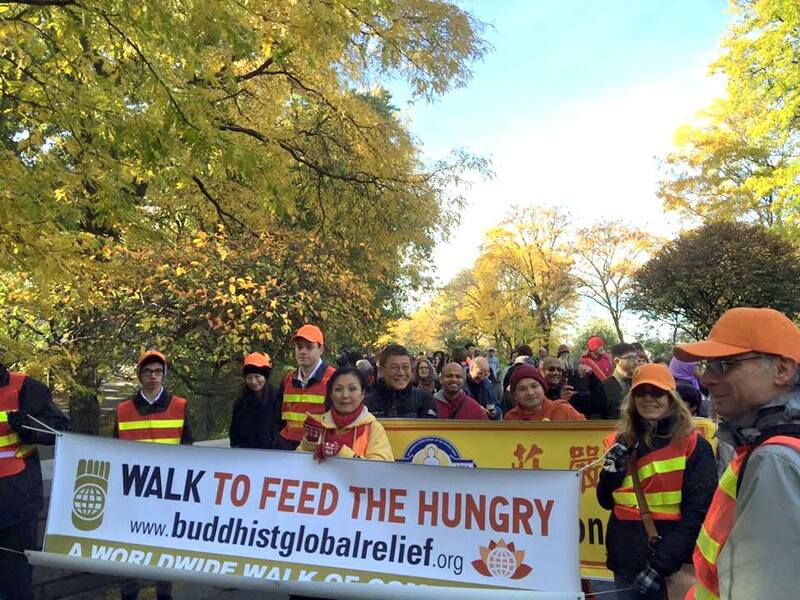 On our 6th annual NYC Walk to Feed the Hungry we were blessed with excellent weather—a little chilly at first, but the sunshine soon made it perfectly comfortable.​ About 150 people turned up to support this event! Echo Bonner of the Dharma Drum Retreat Center ​got everyone warmed up with a mindful movement meditation, formally known as the Eight F​orm​ Meditation. ​Participants then gathered as ​Ven. 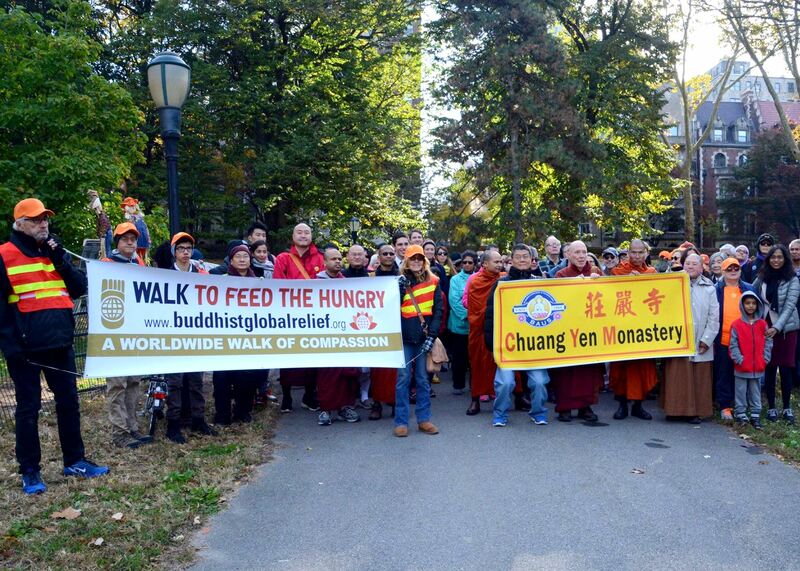 Bhikkhu Bodhi ​spoke of the history of the Walk, and read a ​special ​message of support from New York City Mayor Bill de Blasio. Keep Growing Detroit is a 501(c)3 nonprofit (registered 2014) operating in one of the most neglected cities in the US, where 20% of the residents are food insecure and the city’s jobless rate is 14.3%. Residents have limited access to grocery stores due to an unreliable mass transit system and buy their food at gas stations or convenience stores with bulletproof windows in monitored transactions. The mission of Keep Growing Detroit is to promote food sovereign so that the majority of fruits and vegetables Detroiters consume are grown by residents within city limits. The long-term strategy is to foster healthy relationships with food by increasing knowledge of food and farming, nurturing leadership skills, cultivating community connections and capacity, changing the value of food, and developing food assets. The goal of this year’s project is to enable urban farmers to increase access to healthy fruits and vegetables and to facilitate educational and community events that promote healthy relationships of people to good nutritious food. The first objective is to support more than 1500 family, community, school and market gardens that will produce 150 tons of produce for predominately low-income families. The second objective is to facilitate 19 educational workshops and community events that will engage approximately 400 residents. Annually renewable project. This is the last of a six-part series giving brief summaries of the BGR projects approved at the board’s annual projects meeting on May 4th. The first five parts of this series described the nineteen international projects approved by the board. This final post describes the four U.S. projects that were approved. Thanks are due to Patti Price, chair of the Projects Committee, along with Jessie Benjamin, David Liu, Carla Prater, and Jennifer Russ, who all helped prepare the material used in this series. Detroit is known as a “food desert” where residents have to travel twice as far to the nearest grocery store than the closest fast food or convenience store. Keep Growing Detroit aims to promote food sovereignty in the venerable “motor city,” so that more fresh fruits and vegetables will be available to Detroiters, grown by residents themselves within city limits. The organization also aspires to foster healthy relationships between people and the food they eat, to increase knowledge of food and farming, to cultivate community connections, and to nurture leadership skills among Detroiters. BGR will be entering upon a first-time partnership with Keep Growing Detroit, supporting a project that seeks to expand options for local food production by making available resources and education opportunities. The two objectives of the project are: (1) to support 1500 family, community, school and market gardens by distributing garden resources, and (2) to host 25 classes reaching 500 residents and provide information about basic gardening, farm and business planning, hoophouse construction, cooking and food preservation. BGR funding will go toward the purchase of seeds, plants, a greenhouse, and cooking and teaching supplies. 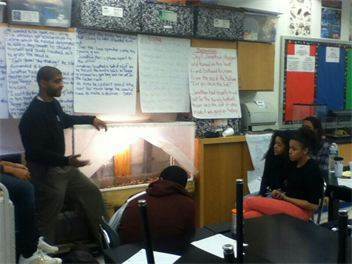 Last year, BGR began a partnership with NYC’s Reciprocity Foundation, which trains and counsels homeless youth. The partnership aims to enable Reciprocity to expand its vegetarian meals program. Their half-year interim report indicates this partnership is bearing fruit. For the past eight years, the Reciprocity Foundation has worked tirelessly in New York City to provide care for homeless youth in the age range of 13-26 years. The Foundation aims to nurture the transformation of homeless, impoverished youngsters—most living in homeless shelters—into educated, employed young persons able to take on leadership roles in society. Reciprocity offers a unique holistic synthesis of contemplative, psychological, and practical modes of training. It provides counseling, meditation, yoga, retreats, career coaching, college admission support, and digital media training. This is the fourth and final part of the four-part series on BGR projects approved for fiscal year 2013–14. We here provide overviews of our three U.S. projects, all new partnerships. Thanks are due to Patti Price, chair of the Projects Committee, and Jessie Benjamin, Carla Prater, and Jennifer Russ for preparing the material. The Reciprocity Foundation was established in 2006 to address the plight of homeless youth in New York City. In 2011, RF opened the first Holistic Center for Homeless Youth in the U.S., offering homeless youth personal counseling, vocational training, and college preparatory coaching along with meditation, yoga, and retreats. When they found that the homeless students were arriving hungry and unable to focus, RF started a vegetarian meal program in 2012 called “Starved for Meaning.” Meals at the program are prepared collectively and served “family-style,” with a moment of gratitude before the meal.The meal fulfilled the students’ hunger for other things besides food: for community, dialogue, gratitude, and meaning. Our first project with the Reciprocity Foundation provides funding to increase the capacity of the vegetarian meal program from 30 to 75 students weekly. As part of the program, the number of weekly communal meals will be doubled from 2 to 4, the kitchen will be upgraded, and a nutritionist will be hired to ensure balanced and nutritious vegetarian meals. The Urban Rebuilding Initiative is a community-based organization established in New York City to give low-income New Yorkers a chance to rebuild their neighborhoods and their lives. In August 2011 URI started the Urban Community Food Project, with the mission of building a sustainable food system throughout the City in order to address poverty, food insecurity, and high incarceration rates in low-income communities. The Food Project will train at-risk youth, young adults, and formerly incarcerated men to convert urban spaces in local neighborhoods into food production sites. Trainees will be taught how to build and maintain food systems that will supply fresh produce to community safety-net programs. The Food Project’s goal for 2013 is for each of three farms to produce 2000 pounds of produce per year for local food pantries and soup kitchens. The use of aqua-ponics and solar energy will permit the growth of winter crops. BGR funds will partially support the procurement of equipment and supplies to construct the first garden at Tried Stone Baptist Church. Due to the devastating recession, for many immigrant and Latino residents in Santa Clara County, California, food insecurity is a hard fact of daily life. In Gilroy, where 63% of the population is low income, there is only one healthy food resource for 4,000 people. 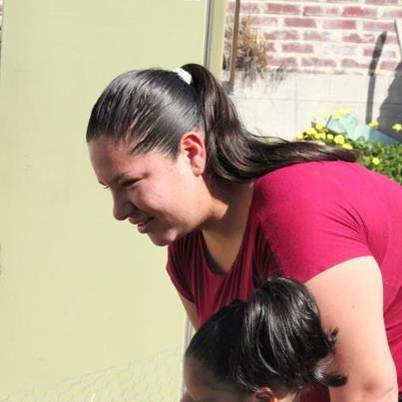 Valley Verde was launched in 2009 (and registered as a nonprofit in 2011) to increase self-sufficiency and healthy eating among Santa Clara’s low-income immigrants and people of color. VV teaches organic gardening skills. By the end of Year 2 in its pilot program (2010) , 83% of families enrolled had healthy gardens and 91% reported increased vegetable consumption. The new project being sponsored by BGR will recruit and support 60 low income residents of Gilroy to cultivate and maintain organic home gardens. VV will use BGR funds to purchase seedlings for winter and spring planting and to purchase planks of untreated redwood to build raised beds for participant families. Participants will acquire organic gardening and leadership skills and nutritional knowledge through monthly garden club meetings, mentoring, and recruitment and training of future mentors.